Dutch police have launched a manhunt after an unidentified shooter killed one and injured two more in a central Amsterdam street. A major emergency response is underway. 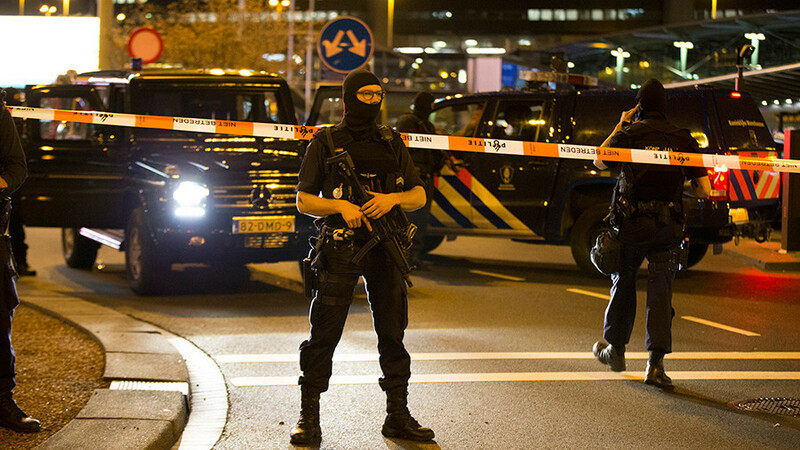 Police confirm several shots were fired in the Grote Wittenburgerstraat area of the Dutch capital late on Friday. The motive behind the attack is currently unclear. The shooting victim was male, de Telegraaf paper reports. The area where the shooting took place was cordoned off by police. Several ambulances and a medical helicopter were dispatched to the scene. The two people injured in the shooting were taken to hospital. There is currently no information about their condition. — De Telegraaf (@telegraaf) 26 января 2018 г. Witnesses cited by de Telegraaf said there were several attackers wearing balaclava face masks, who fled the area after the shots were fired. They said the incident happened on the playground, and that the person who died was a teenager. Police are yet to confirm the age of the victim. Witnesses also told de Telegraaf the firearm used in the attack resembled a “Kalashnikov” assault rifle. — Mike Muller (@_MikeMuller) 26 января 2018 г.